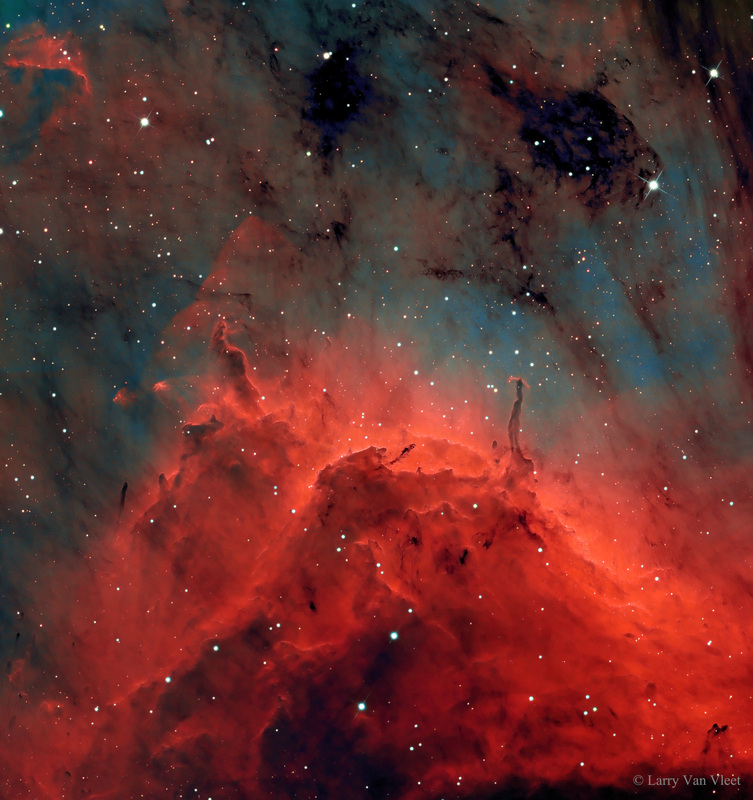 Explanation: What dark structures arise from the Pelican Nebula? 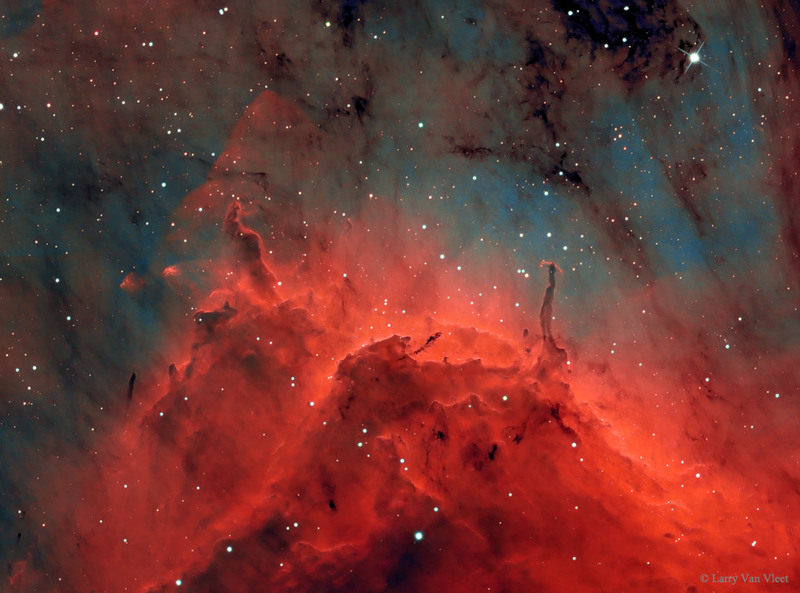 Visible as a bird-shaped nebula toward the constellation of a bird (Cygnus, the Swan), the Pelican Nebula is a place dotted with newly formed stars but fouled with dark dust. These smoke-sized dust grains formed in the cool atmospheres of young stars and were dispersed by stellar winds and explosions. Impressive Herbig-Haro jets are seen emitted by a star on the right that is helping to destroy the light year-long dust pillar that contains it. The featured image was scientifically-coloured to emphasize light emitted by small amounts of ionized nitrogen, oxygen, and sulfur in the nebula made predominantly of hydrogen and helium. The Pelican Nebula (IC 5067 and IC 5070) is about 2,000 light-years away and can be found with a small telescope to the northeast of the bright star Deneb.